You can use this SD Memory Card to store your photos, sound recordings created on the Nintendo 2DS™, Nintendo 3DS™ or Nintendo 3DS XL system, and music from your PC. If you plan to download full retail games to your system through the Nintendo eShop™, you may need more storage. 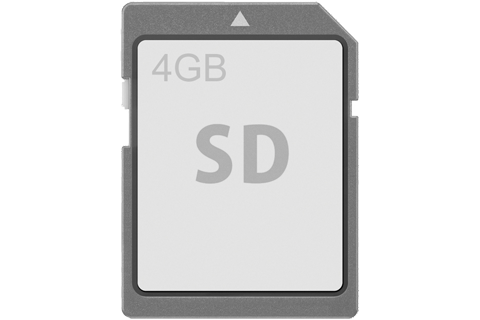 While it is possible to use SD standard or SDHC standard based cards, we cannot guarantee that products other than this official SD card will work. The 4GB SD Memory Card is now available as an Authentic Nintendo Refurbished product only from Nintendo, and it comes with our standard 90 day limited warranty. Although it may have minor cosmetic blemishes, it is guaranteed to be fully functional. We think you will find the standards for Authentic Nintendo Refurbished Products are VERY high.